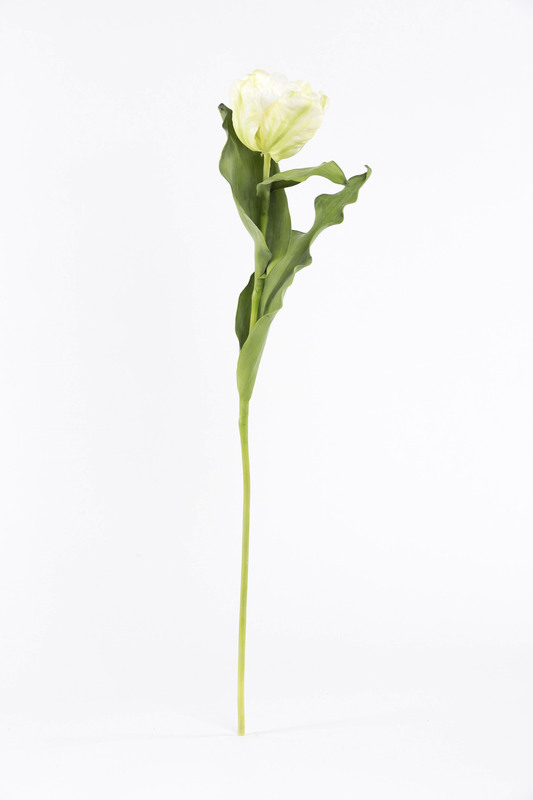 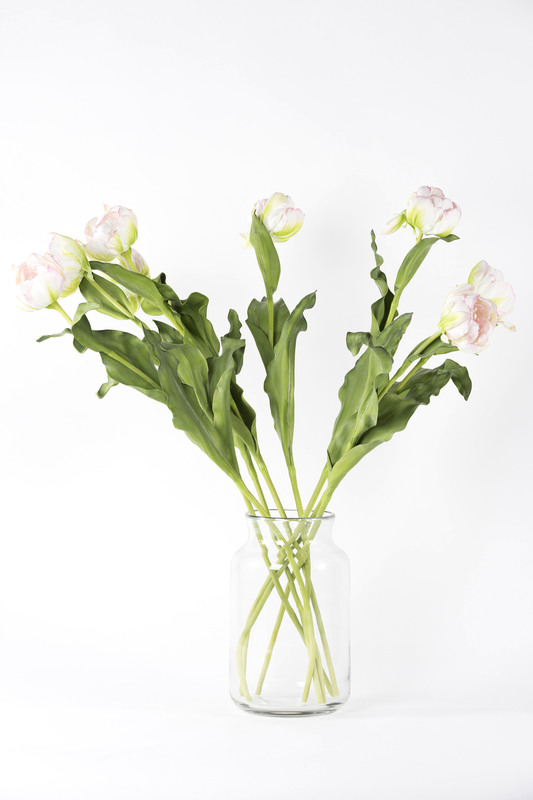 Capture the spirit of spring with this effortlessly elegant faux tulip. 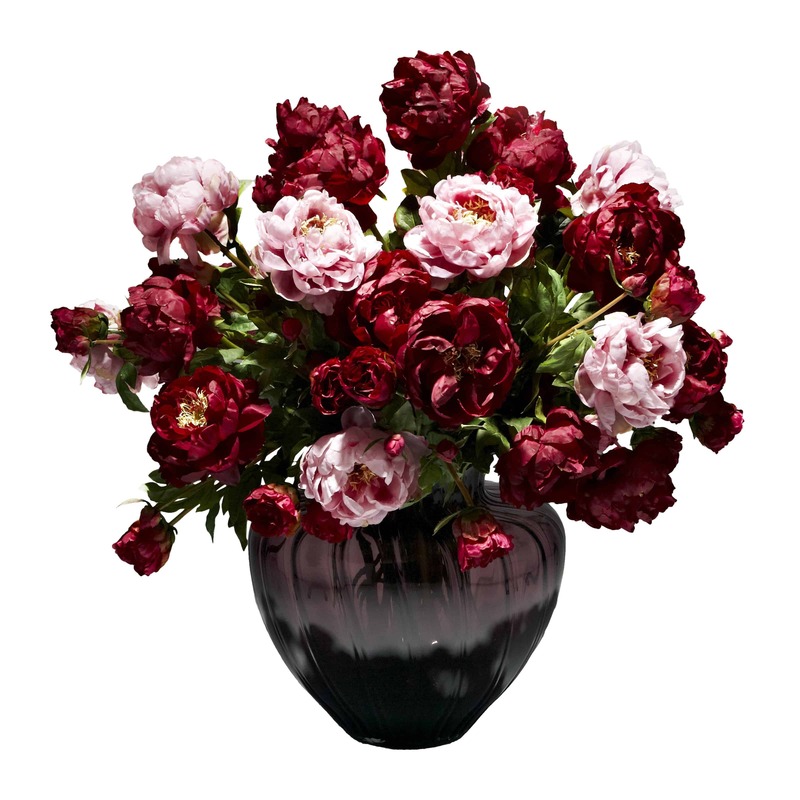 A bowl shaped, double flower that resemble peonies and also called peony tulips. 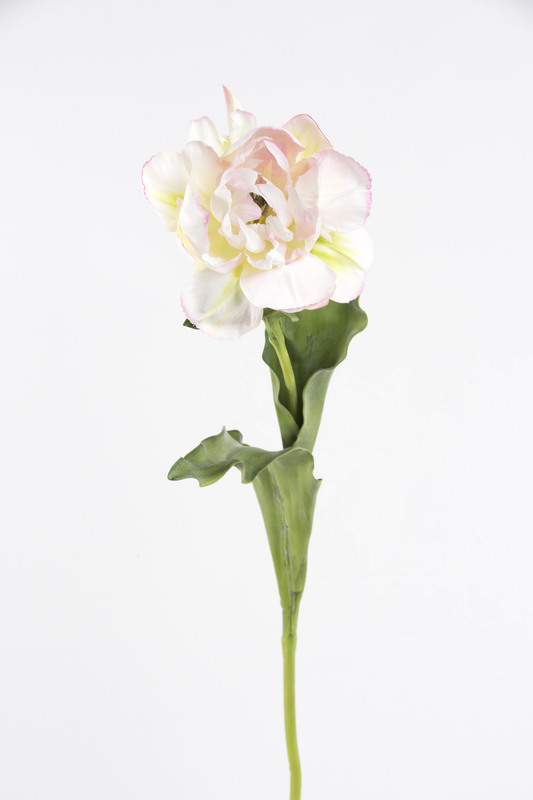 A subtle fresh green emerging from the centre of the white petals where the edges are tinged with the palest blush of pink. 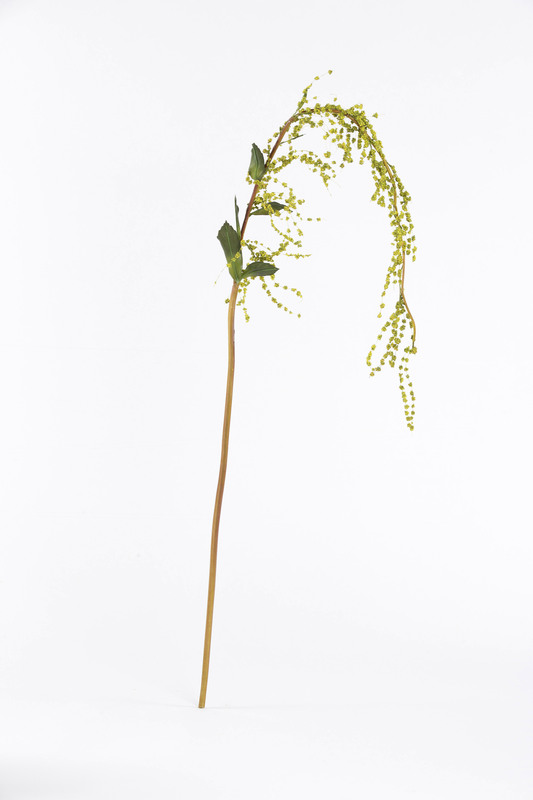 A myriad of green leaves add a fresh natural look. 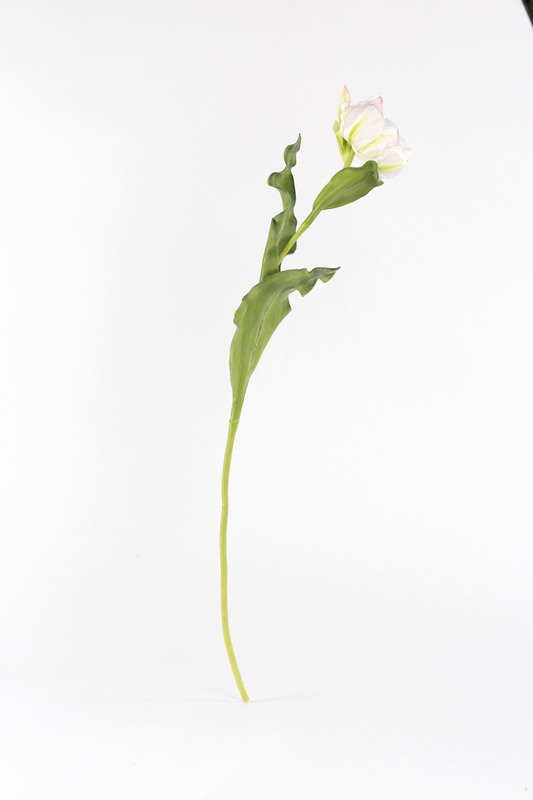 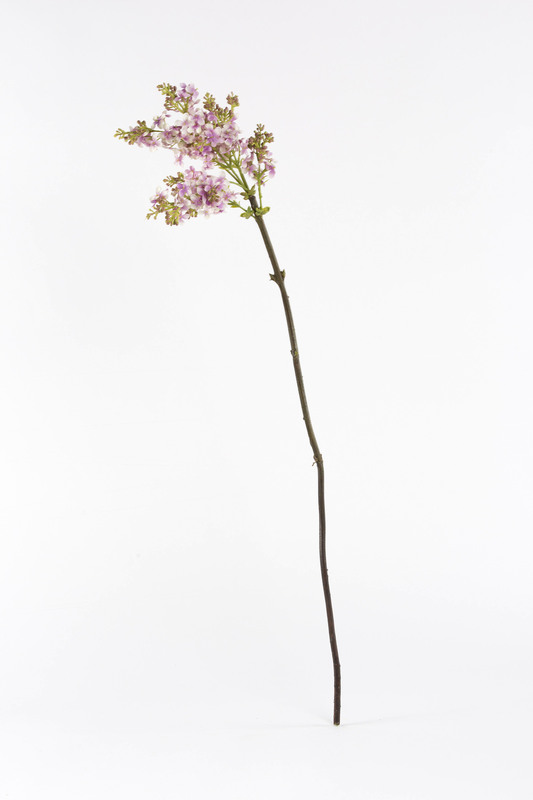 The impressively long stem can stand alone proudly or a bunch of them together as pictured.